After the recent addition of BEAM (Equihash 150,5) support on NiceHash the service for selling and buying mining hashrate has become more active and has just added two (three) more new algorithms – CuckARoo29 and CuckAToo31 used by GRIN and Lyra2REv3 used by VTC. 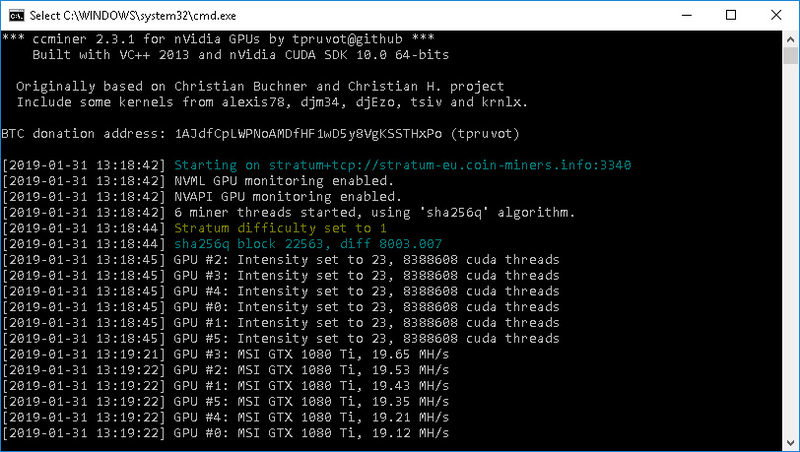 NiceHash support for GRIN on the software side is still somewhat lacking, with the latest GMiner 1.28 pretty much currently the only available miner for Grin (CuckARoo29) available for Nvidia GPUs under Windows, no AMD Grin miners with proper NiceHash support for now it seems. Lyra2REv3 on the other hand is more widely supported and available already on multiple software miners for both AMD and Nvidia as it was an anticipated fork for VTC, so developers had the time to get ready. 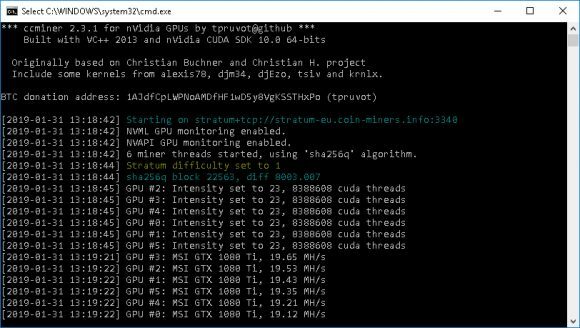 An example for a compatible AMD miner is the latest WildRig Multi and for Nvidia you can try the latest official ccminer by tpruvot or the latest CryptoDredge which is faster in terms of performance compared to ccminer. Due to the interest and demand for Grin mining hashrate currently profitability wise it might be interesting for Nvidia miners to try selling their hashrate on NiceHash and get paid in BTC for it while waiting for the Grin ecosystem to get more developed and functional that it is at the moment. VertCoin (VTC) has hard forked at block number 347000 bringing forth a new and improved Lyra2RE algorithm. This means that in order to continue using and mining VTC you will need to update your VertCoin wallet to the latest version as well as use a miner that adds support for the new Lyra2RE algorithm introduced with the hard fork. So far we only have working forks sgminer for AMD (source) and ccminer for Nvidia (source) from DJM34 that have support for the new version of the Lyra2RE algorithm, but we expect to see support added in other miners as well. You can download compiled Windows binaries for both miners from the links below and continue mining for the Lyra2v2 algorithm that VertCoin (VTC) is now using, also do not forget to update your VTC wallet. Do note that most coins will likely continue to use the older Lyra2RE algorithm for now, so this may cause some confusion as to what version of Lyra2RE is used by different altcoins other than VTC.